Founded in 1945, Sub-Zero’s number one priority has been finding and creating ways to keep food fresher longer. Combining innovation with superior design, Sub-Zero crafts top of the line appliances that look sleek while offering the best industry tech. Sub-Zero uses NASA research in their design process, promising customers that appliances are backed by the most current science and technology available. Their appliances are also built to last and withstand years of daily use. Sub-Zero values their customers’ health and goes to great lengths to ensure all appliances offer superior food preservation. Customers depend on Sub-Zero for their dedication to creating quality products. Sub-Zero appliances help create kitchens people look forward to spending time in. After many years of use, problems will arise with all home appliances and Sub-Zero is no exception. 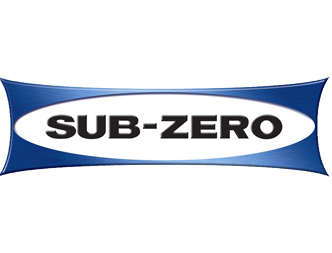 Despite its sterling reputation, Sub-Zero products may break down after daily use. Sometimes warranties expire before repairs need to be made. Sub-Zero refrigerators are known to have problems with ice machines and coil systems may need to be updated. Fast Appliance Repair is available to repair all top of the line brands, including Sub-Zero. We repair Sub-Zero refrigerators, washers, dryers, cooktops, dishwashers, ovens, stoves, microwaves, and more.